The Boston Breakers waived midfielder Elizabeth Guess on April 21, 2013. 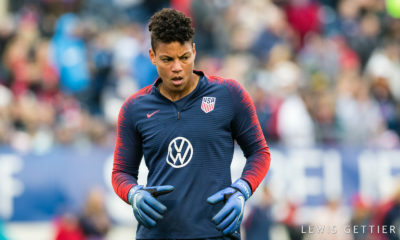 This was only five days after she had the first assist for the club in the NWSL season, in the 91st minute on a Sydney Leroux goal that resulted in a draw against the Washington Spirit. It only took another couple of days for Portland Thorns FC to announce that they had signed Guess, bringing their total roster tally to twenty players. There were plenty of questions asked about the roster maneuvering of the teams. Why did the Breakers waive a player when they had space to add up to two more players? Why weren’t they simply replacing Bianca D’Agostino, now officially out for the remainder of the season (having never played in a single match)? How was Portland allowed to sign yet another discovery player? First, the answers to this week’s roster questions. The Breakers could have kept Guess on the roster, technically. They waived Guess as to add an additional player without needing to pay an additional salary. Elizabeth Guess doesn’t count as a discovery player for Portland, even though she was signed as a discovery player for Boston on April 5. She was picked up under a waiver claim by Portland, which means she’s not affected by any of the other previously published roster rules. Don’t consider it a signing, but an option getting picked up. There’s a couple of points to consider on the disabled list. First, what exactly does league discretion mean? This could result in one team receiving roster relief while another goes without and major complaints from teams and fans alike. 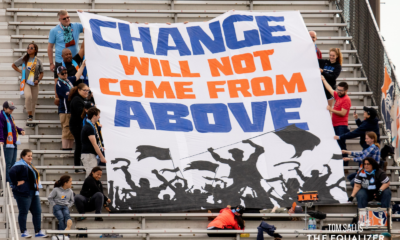 Does it depend on standings or public perception of the team’s chances? What criteria will the the league use to determine if a team deserves relief? Second, even if a team does receive roster relief from the league, they won’t necessarily receive budget relief. If a team is beset by multiple serious injuries, they could be prevented from truly resolving their predicament due to budget limitations. While the full rules and regulations of the league aren’t currently available on the NWSL’s website, some portions have been available previously in teams’ media guides. Perhaps the most important piece of all the roster rules not widely known: teams’ rosters are frozen on July 31, 2013. That means the teams have a full month before the championship rolls around on August 31 with the same 18-20 players. There’s already less than 100 days until the trade deadline even though the season is only just getting underway. Also previously published but not truly made available for public knowledge: the process for replacing an allocated player away on national team duty. Allocated national team players will be replaced by an “amateur” player. Teams may bring in an amateur player to count toward one of its twenty available roster spots. The team will not pay this amateur player a salary, but may cover necessary expenses (travel, lodging, etc.). The amateur and team must complete an “amateur call-up form” and the player will sign an “amateur standard agreement.” The player must already be registered with US Soccer as an amateur player. Preferably, the NWSL expects these amateur players to be in the local market, but if that’s not the case, the league will work with teams to set up appropriate guidelines not determined in the official rules and regulations. From the looks of the official rules, these players must be truly at the amateur level. So Portland couldn’t call in Tina Ellertson to play for a couple of weeks, but would instead need to find a local college grad or the like to fill in. Once you’re done processing the fact that reserves will not be paid for games they play in, let’s tackle the waiver process. If a team would like to waive a player, they send their request to the league front office. As with any roster transaction, it must be approved by the league. At the end of every day at 5 p.m. central time, a list of all waived players is distributed to the GM and head coach of all eight teams. The seven other teams then have exactly 24 hours to put in their request for a player on the list. If the player isn’t requested by any other team, she becomes a free agent. The process gets a little more interesting if multiple teams are interested in the same waived player. To be fair, it also gets a little more confusing. The teams will still be ordered in the same sequence as the waiver draft (which was never officially published by the league), but this only lasts until all eight teams have played at least three games. Once that happens, the waived player automatically goes to the team with the lowest points per game (regular season) average. As with the Guess situation from this week, teams are not held to any previously established limitations on discovery players for waiver pick-ups. There is no stated limit to waiver pick-ups in the full rules and regulations. The injury replacement rules were described above, but there is one additional note on that front. If a team’s goalkeeper is injured, and the team is only carrying two on the roster, the team may add a goalkeeper until the injured one is able to return to the team. Again, money comes into play and this temporary replacement still has to stay under the salary cap. One last discovery within the full NWSL rules and regulations: in the section on player acquisition methods, teams were limited to four discovery players through March 24. After that? “The limit will be expanded to a total of six (6) discovery players.” This might address some concerns will teams being able to fill all twenty spots on the roster. 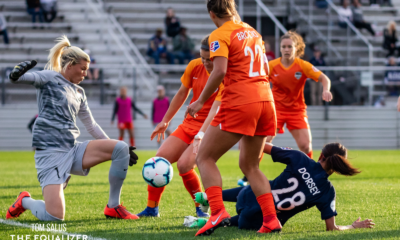 The official rules and regulations might not answer all of the questions on player signings so far in the National Women’s Soccer League, but there is at least now a common framework for teams and fans to work from. The league plans to post some form of the rules of competition on the league website in the near future.